A year ago I was Diabetic, Hypertensive, and morbidly obese. I’ve been told, by medical experts, that I reached that point through an inability to regulate energy. Almost exactly a year ago (a year ago this week) I started changing what I ate. I had been eating a diet that was mostly complex carbohydrates (starches), some lean meat, some vegetables, and trying to cut back on fats. You might recognize that this as the rough ratios of the prudent diet in the food pyramid, the one recommended by Diabetes Australia (among others). I changed one thing. I stopped eating carbohydrates – lost weight, lowered my blood pressure, raised my good cholesterol, lowered my blood triglycerides, and gained long term tight blood sugar control. Potassium, and Magnesium but especially good old Sodium Chloride. If you ask a Dietician about Low-carbohydrate High fat diets you’ll probably get one of two responses. If you talk to a practitioner who is using Low carbohydrate diets in their practice you’ll get a list of all the reasons why it works. Well I’m going to share with you one chart that will address all of those – this is a chart of how my weight has changed during the past 365 days of Nutritional Ketosis. You can play with the bounds of this chart (move the blue tags), but the interesting bit is the first 6 months. Notice that in the first week I lost a lot of weight, this is the so called water-weight. That happens because your body stores about 1 day’s worth of glucose to run your brain in your liver in a starch called glycogen. This is stored in a hydrated state with 4 molecules of water for every molecule of glucose. In the first few days after you stop eating carbohydrates, your liver assumes the delay is just temporary so it starts cracking glucose out of the glycogen, and that releases a lot of water which is flushed out by the kidneys and released through urine. Once you have gone a few days without carbohydrates your metabolism realises that this may not be a temporary situation and starts adapting your body to use Fat as it’s fuel source. You can see that for the next 6 months I began to lose several kilos a week. We don’t have that much water in our bodies – all the weight after the first few days was me drawing down on my body fat. As you can see I was able to stay on an intake of 5 net carbs (Carbohydrates – Dietary Fibre) per day for 6 months and then as I increased my net Carbs to 10g/day my weight decline leveled off and I am able to maintain well at this rate. I should mention that my average net Calories (Calories In – Calories Out) did not change much between the period I was eating 5g/day of Carbohydrates and 10g/day. Clearly the amount of energy my body maintains as body fat is dose dependant response to my carb intake and not how much food I eat, or how much exercise I do. Julie who ate pretty much the same food as I did over this time, took longer to adapt to burning fat instead of glucose so she started much slower than I. However her weight loss didn’t slow down in December when we slightly increased our net carbs. Clearly Julie has a different carbohydrate tolerance than I do – although we kind of knew that going in because I am diabetic and she isn’t. NB: I have every single gram of food I ate over the past year recorded in a food Diary, as well as every minute of exercise I did during that time, and various metabolic markers (weight, waist circumference, etc) so I plan to share more interesting graphs over that time. 10 years ago I semi-retired from software development, to focus on doing something about my diabetes; From doing no exercise for 20 years, I began doing Cardio and Weights with a Personal Trainer 4 days a week, started cycling 100km a week, not to mention 5km walks along the beach with a couple of active dogs twice a week, and high intensity kung-fu. I also started cooking my own food, and trying to follow the food pyramid. 9 years later I was sicker than ever – that was a year ago. Today after just 1 year of low carb living I am healthier than I have been in 30 years, and effectively non-diabetic (certainly asymptomatic). The reason I started this site is that I have family and friends who are also on the Insulin Resistance spectrum and I wanted to get what I have learned in a reusable format. Personally, I feel so much better now that I am getting back into software development. Wow! Looking good, keep up the good work and commitment! I have been listening to the 2 Keto Dudes podcasts. I have not started Keto yet. I heard the podcast with Brenda Zorn and began a search and here I am. You look amazing and listening to the long bike rides you do is spectacular too. I do not have Facebook so I would like to contact Brenda Zorn. Any suggestions? Brenda is an admin there with the rest of the team. I’m interested in learning more about the keto life style. Richard, you’ve done wonderfully in a very short time. 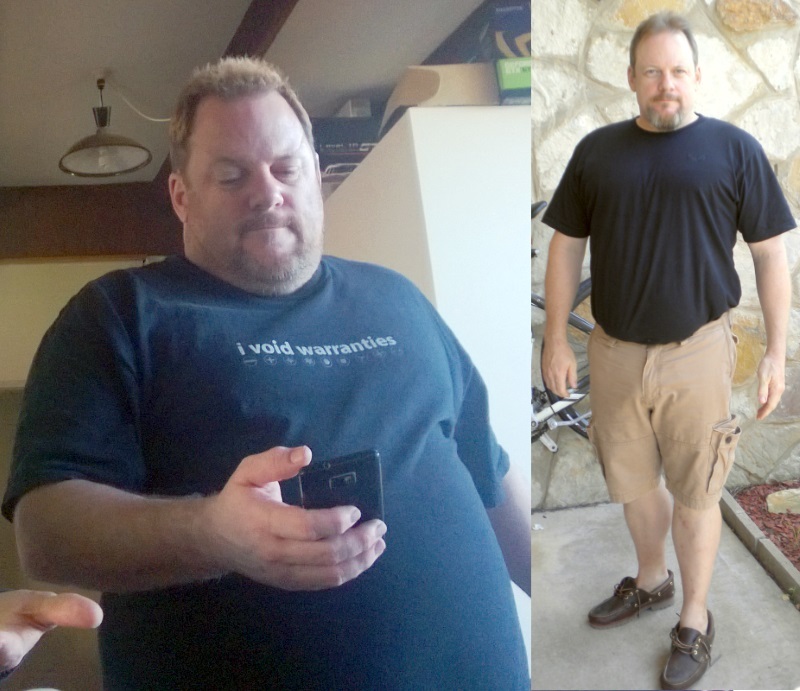 Took me 10 years to find my way to keto, but I’m finally well and slim.